Consumer spending on Small-Business Saturday (Nov. 24) reached an estimated $17.8 billion, according to organizers American Express and the National Federation of Independent Business. 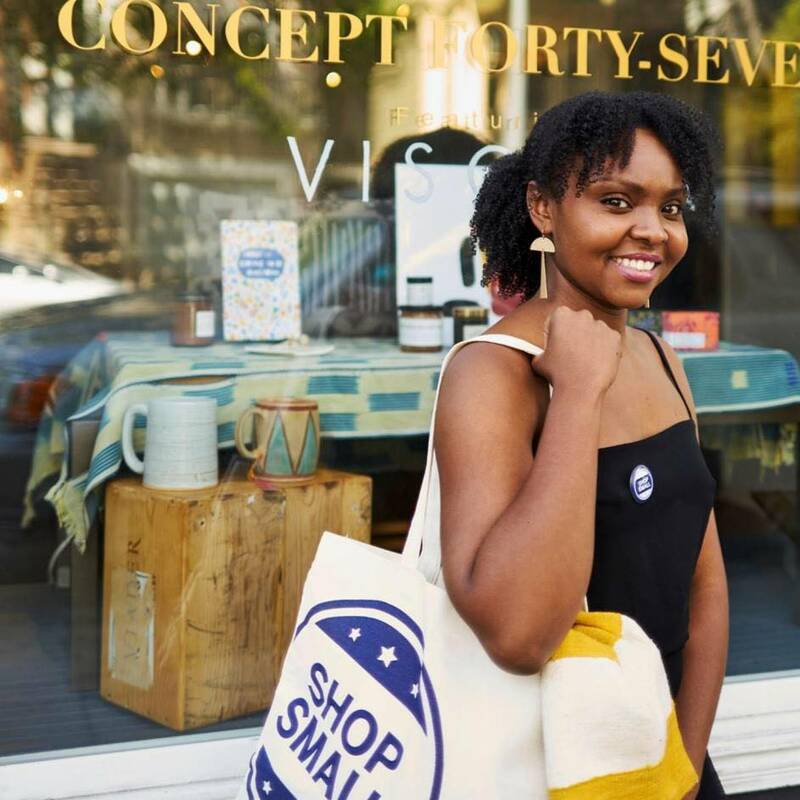 After noticing that there were not enough natural skin-care solutions catering to women of color, Stevonne Ratliff, founder of Concept Forty-Seven and Beija-Flor Naturals, decided to build her own. Now you can find her products, as well as plenty of sustainably and locally sourced artisanal products, at her two Concept 47 by Beija-Flor Naturals shops, in San Francisco. According to an annual survey, Small-Business Saturday spending has hit a reported $103 billion since its origin in 2010. The day, dedicated to supporting the range of local businesses that help create jobs, boost the economy and enhance neighborhoods around the country, was created by American Express in 2010 as a response to small-business owners’ most pressing need: getting more customers. Localities across the U.S. and in Puerto Rico celebrated this year's Small-Business Saturday with special events and activities that include lighting New York City's Empire State Building in blue; crafting a life-size Shop Small gingerbread shop in San Diego; organizing block parties with jazz and salsa bands in San Juan, Puerto Rico. Roughly 104 million U.S. consumers reported shopping or dining at local, independently owned businesses on Small-Business Saturday this year, the survey says. 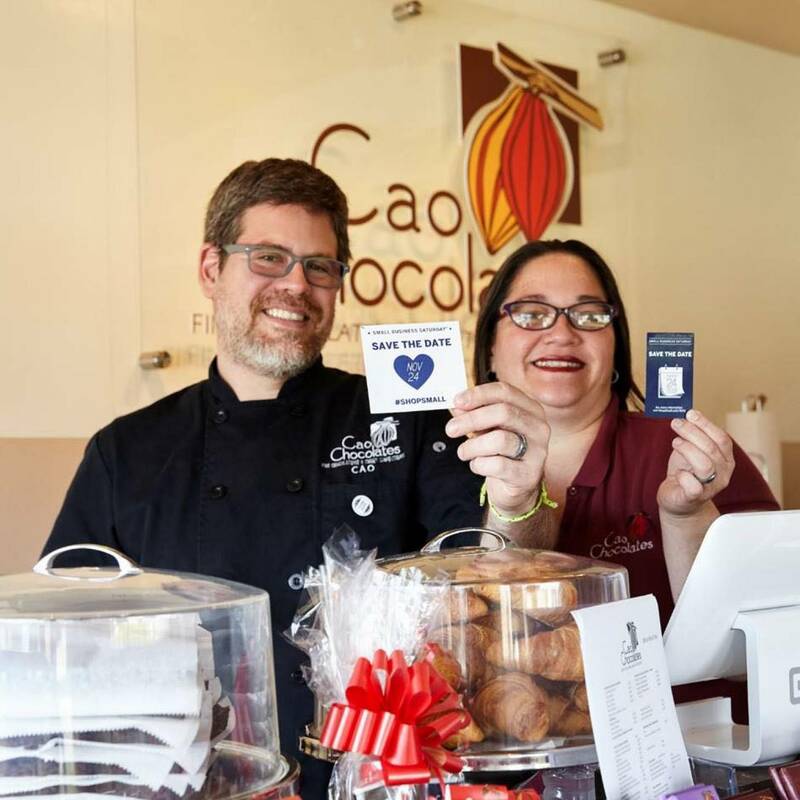 The co-founders of Cao Chocolates and Neighborhood Champions celebrate #SmallBizSat every year by introducing holiday flavors, offering discounts and being host to special events. For the community, this has become a tradition. The survey also shows that some 70 percent of Americans are aware of Small-Business Saturday. Of the consumers who say they "shopped small" on the day, some 42 percent report shopping with family and friends at independently owned businesses, and 83 percent report that they have encouraged others to shop or dine small. Shoppers also turned out for online small businesses. Among those who say they participated, about 40 percent report that they did so online.